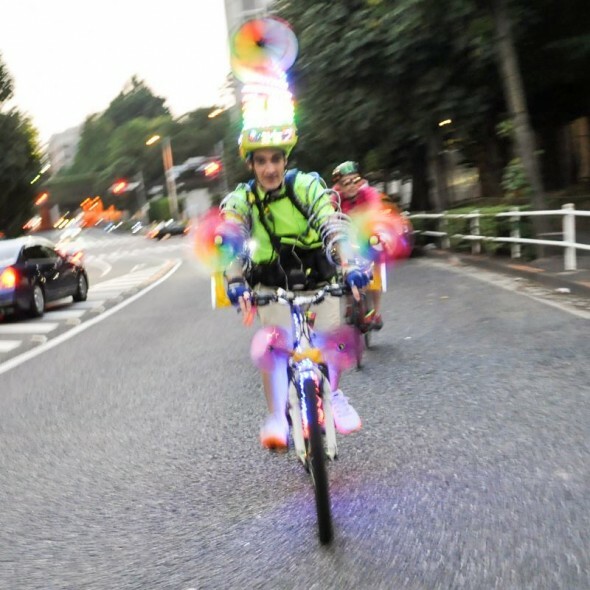 Whilst I usually get around on two feet or by train, I do also love cycling. As a child I saved up for years for a Claud Butler mountain bike – it was my pride and joy throughout my early teenage years. Despite it’s lack of bike lanes, Tokyo’s a great place to explore by bike, and as someone who usually runs I find myself surprised by how quickly I can get right across town. 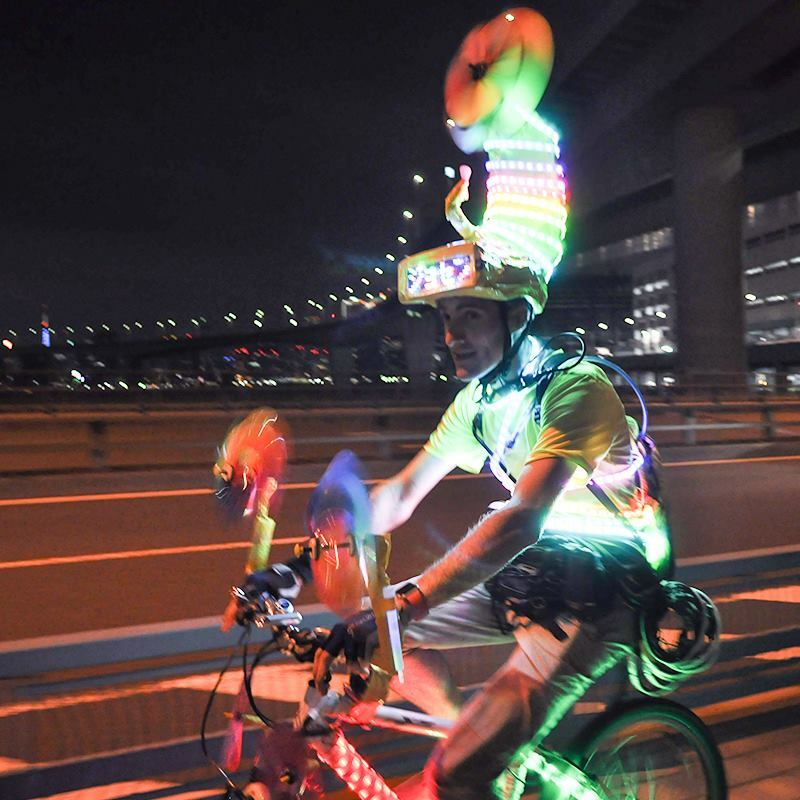 Cycling has another advantage over running – you have a solid metal frame to which to attach your LEDs and battery packs! 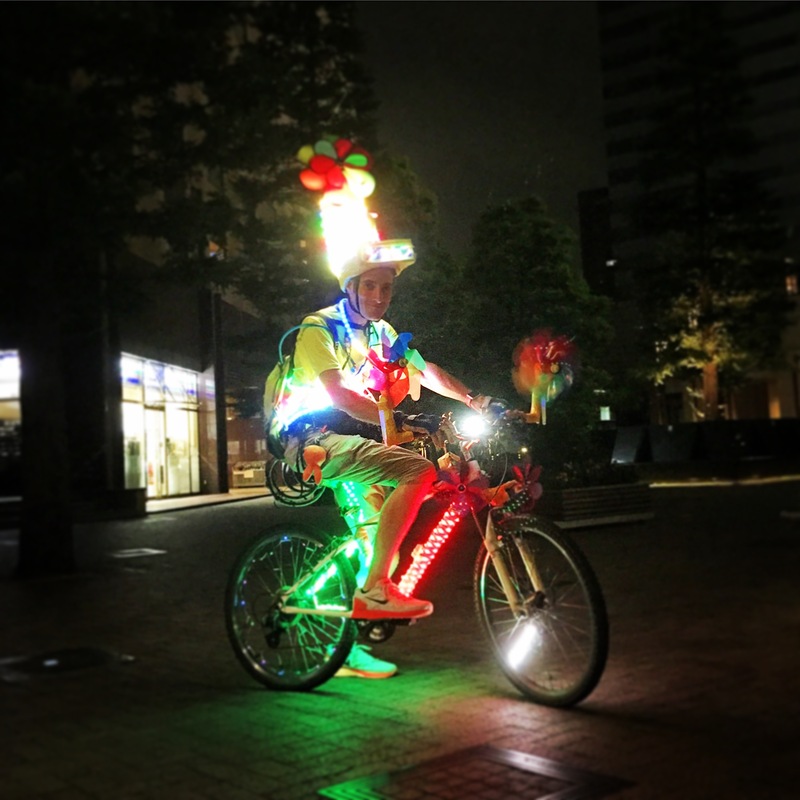 I was delighted to be invited to take part in this year’s Firefly Ride, a twilight trip from Omotesando to the beach at Daiba Park, passing through many iconic areas of Tokyo. 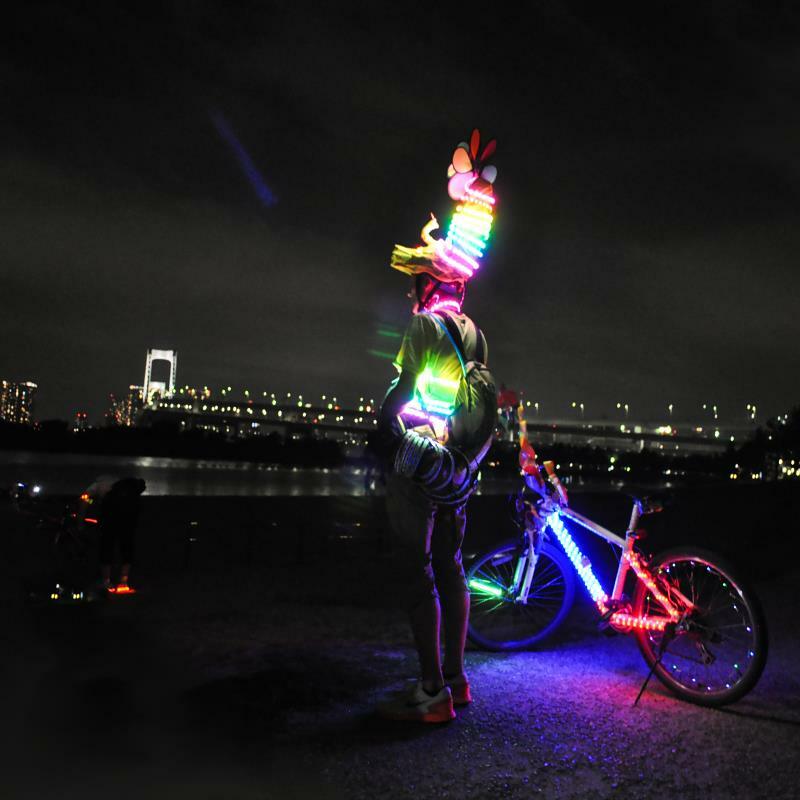 Riders dressed up their bikes with lights and decorations, and mounted speakers to help create a real festival atmosphere. 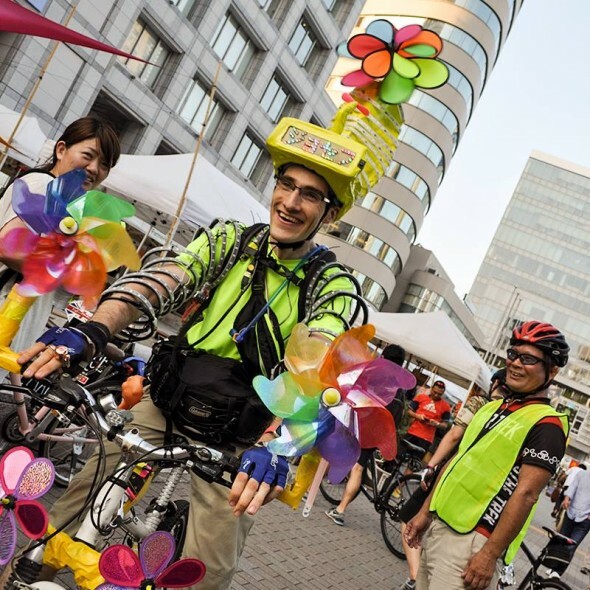 The ride was organised by The Cycling Embassy of Japan, an organisation “dedicated to promoting cycling as a healthy, socially responsible, economically sustainable and environmentally friendly means of transportation”. 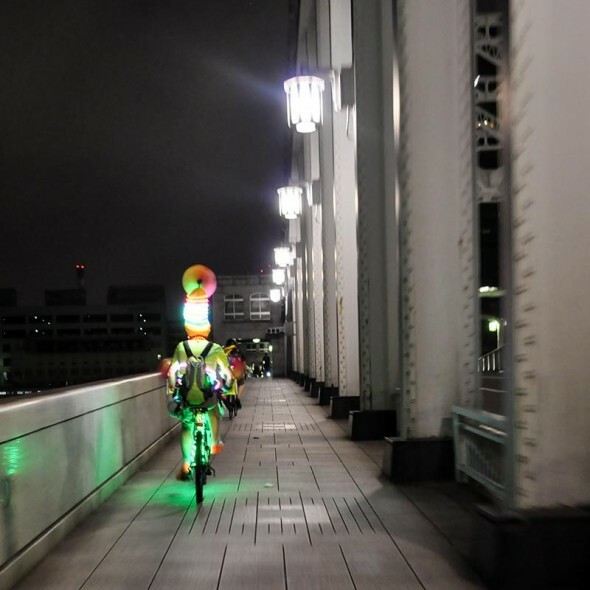 Thanks to Byron of the excellent site http://www.tokyobybike.com, Chad and everyone else who helped make it into a memorable ride.